For the 30th anniversary of Nike’s iconic ‘Air Force 1′ model, the storied athletic brand has taken a look to the future of the iconic silhouette. 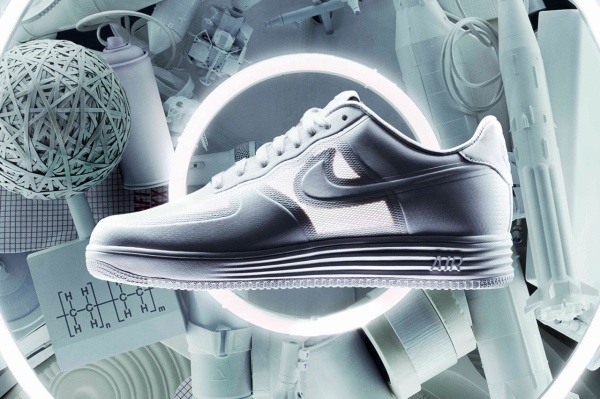 The flagship of this year’s celebration is the Lunar Force 1, a shoe that takes the classic silhouette and loads it with some of Nike’s most innovative technologies: Lunarlon cushioning and Hyperfuse construction. A redesign without using the appeal that made the original Air Force 1 so enduring, Nike replaced the midsoleâ€™s heel Air unit (from 1982) with spring-like Lunarlon foam and a Zoom Air unit in the heel, lightening the shoe while increasing comfort. New Hyperfuse uppers feature a unibody construction, fusing three layers for even lighter weight and minimal seams. 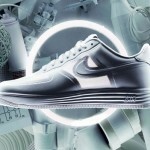 Additional refinements like an inner sock liner, reflective swoosh and slimmed-down toebox complete the redesign. 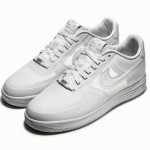 This Lunar Force 1 weighs in at a mere 11.7 ounces. 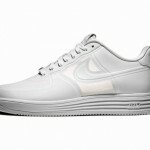 The Nike Lunar Force 1 will release in limited quantities on December 12 at select Nike Sportswear retail locations globally. Get ready to stand in line, credit cards in hand.